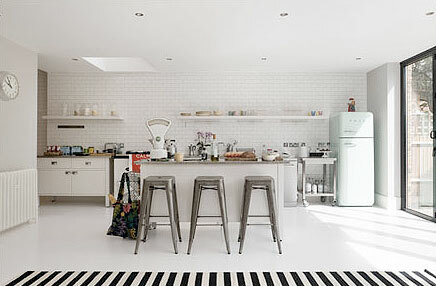 I want to cooly keep things cool in a SMEG! 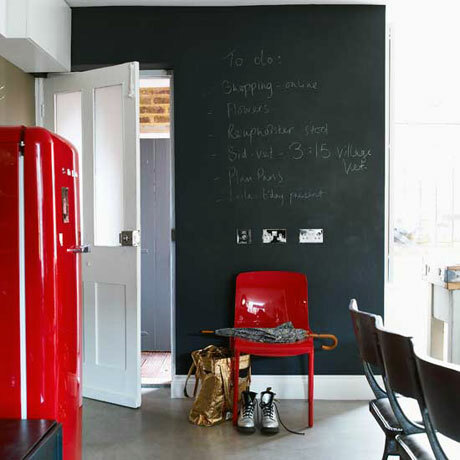 I saw these fridges in the UK, and fell in love. Aren't they a perfect modernized vintage? And they come in lots of funky colors. But I'm sure they cost a lot. Boo. 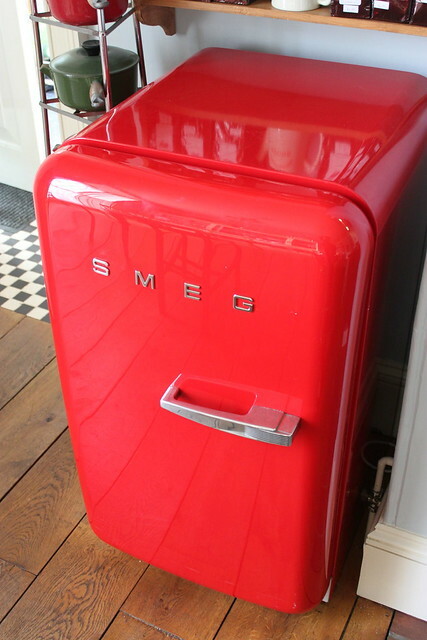 The SMEG mini-fridge version, from my favorite tearoom in England. 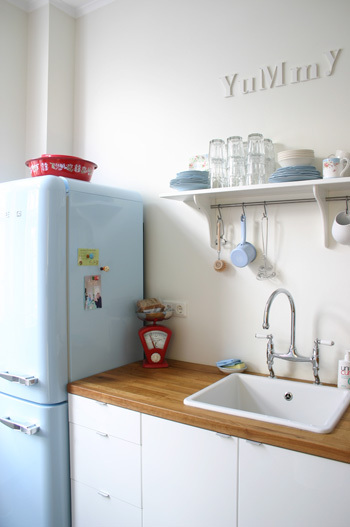 Here are some other SMEGs adorably perfecting kitchens.